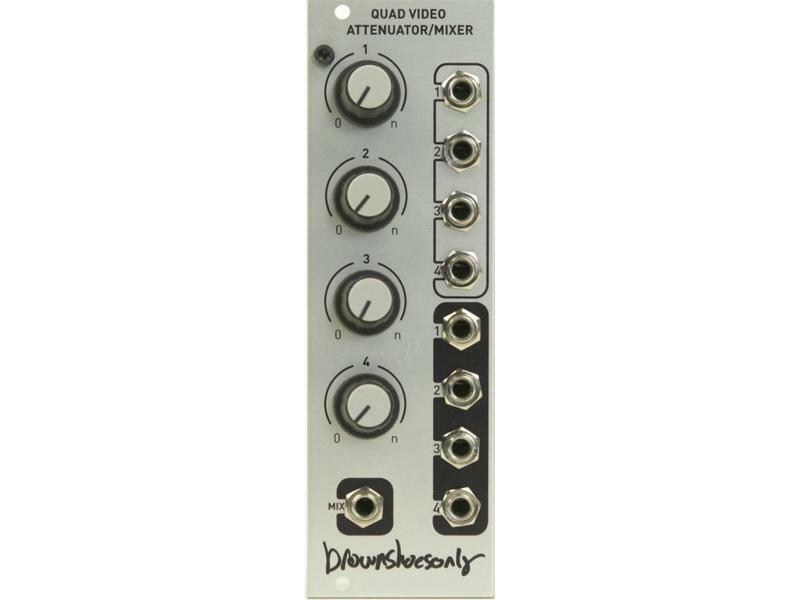 The quad video attenuator/mixer is an 8 hp, four input video rate unipolar attenuator or mixer.This module aids complex modulation of oscillators/filters/faders/keyers while saving your matrix mixers for RGB colorization. 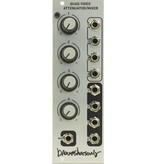 When patching an attenuator out, that respective channel is removed from the mix output. This module works wonderfully with audio rigs and is a great tool for dual use a/v systems.